Abrasive flow finishing (AFF) is one of the advanced finishing processes and rotational AFF (R-AFF) is one of its variant wherein workpiece is provided with additional rotational motion. Polymer rheological abrasive medium used in R-AFF process perform an important role in reducing the workpiece surface roughness. In the present paper, different types of in-house medium are prepared by varying composition of the silicon-based polymer, rheological additives, and abrasive particles. Later rheological characterization (static and dynamic) medium is carried out to understand the flow and deformation properties. Fourier transform infrared spectroscopic analysis of the medium is performed to find the new functional groups in the medium. To study the effect of various medium constituents on its rheological properties and finishing abilities, experiments are designed as per central composite rotatable design and analyzed using response surface methodology. The rheological study shows that, as the wt.% of silicon polymer and abrasive particles increases, maximum shear stress as well as complex viscosity also increases. Increase in wt.% of plasticizer and abrasive particles increases medium % viscous component. Viscous properties are dominant in soft silicone based medium and ΔRa increases with an increase in wt.% of silicone polymer. ANOVA analysis shows that wt.% of abrasive particles has highest effect on ΔRa and followed by wt.% of plasticizer. Better surface finish is achieved when 43.75% of silicone polymer, 36% SiC, 5% plasticizer, and remaining rheological additives-based medium are used. Among three workpiece materials, the best surface roughness is achieved on Al alloy/SiC (10%) metal matrix composite. The authors are thankful for the financial support provided by Board of Research in Nuclear Sciences (Project Number: ME/P/MRS/02), Department of Science and Technology for their Technology Systems Development Programme (DST/TSG/AMT/2015/619), Defense Research Development & Development Laboratory (CARS Project). 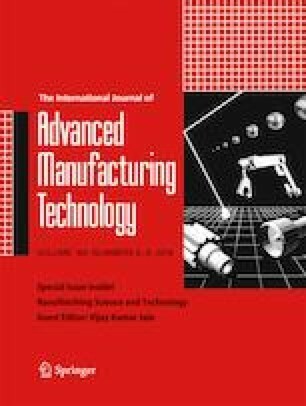 Authors are thankful for the organizers of the AIMTDR-2016 conference for submitting the extended version of the conference paper in special issue of IJAMT.